Microsoft Office, Google chrome or VLC player, these are some of those softwares that almost all of us have on our computers. But there are a few more applications which are although not as popular as these but are equally important and useful. Besides, they are absolutely free. Here is a list of 5 softwares that you must have on your computer. It’s a common tendency to postpone organizing the desktop for the next time and at the end you have a messy desktop that will need much of your time to figure out things and arrange them accordingly. However, with Dexpot you can have multiple desktops. 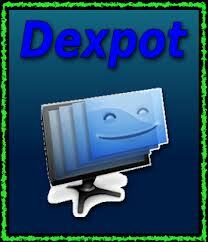 Dexpot is virtual desktop software that lets you have separate desktop for different purposes whether it is for work, play or anything else. You can have different wallpapers, icons and running apps on each desktop. The most striking fact about it is that you can switch between the desktops with keyboard or mouse shortcuts. Besides, the software comes for free. 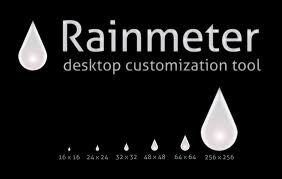 For those who love to tinker their desktop but unfortunately don’t have much options with what windows offers, Rainmeter is really wonderful software. It shows you a skin instead of the desktop, which makes it easier to add widgets and notes upon and notably there are thousands of skins available for free from the community. In today’s world of multitasking when you have to work on multiple applications and have multiple accounts on internet, it really becomes tough to remember the passwords. 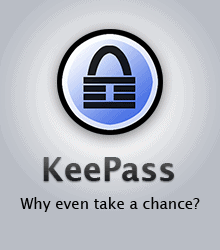 However, if you are using KeePass you only need to remember a single master password and rest of your password will be securely stored in your desktop through KeePass. With Keypass, you can be rest assured about the security of your passwords as once the password is locked, it is encrypted using secure algorithms. A number of times it happens that while deleting the unnecessary data we by mistake delete some data that we actually needed and are unable to restore them. But the good news says that now you have software named as Recuva that helps you retrieve deleted data not only from your Camera memory cards but also from the USB drives, the computer’s recycle bin or even an MP3 player. Although, it may not recover 100 percent of data all the time but then that’s anyway better than a complete loss of data. While sending data as an attachment or while storing it on USB, we all want to compress it to do so easily and quickly. 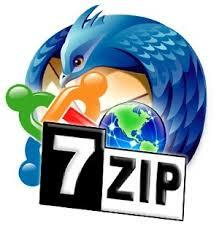 7-zip that supports packing and unpacking of all formats available is much better off when compared to the commonly used WinZip. It integrates with the system without a glitch.